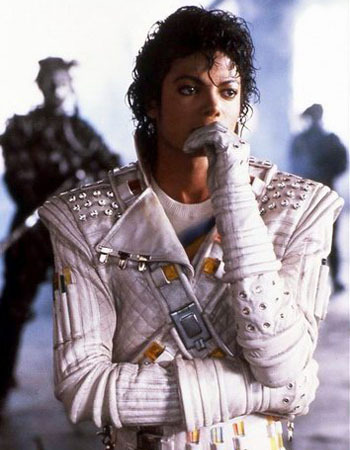 The great Captain listening to the first mix of his new space album. Not quite ready! I know you’ve all missed me in my absence so let’s cut to the chase: I’m trying to discover all of the secrets to making and performing music using these crazy phones and tablets and cochlear implants we’ve all got glued to ourselves these days. When I was a child, my idea of the future was very much a product of how books, television and film depicted it; flying cars, androids, recreational space travel and lasers would be possible and I was incredibly excited for it. It turns out that rather than owning a watch that make holo-calls, we’ve mostly all purchased a miniature computer that we keep in our pocket to do mostly nothing with. I’m mostly a Mac person and have been using Garage Band on OS X since its release. There’s a wealth of information already out there on this product, but I will say that it is well worth the $5. I have done tons of demoing (which is incredibly easy and intuitive) on my iPad and even wrote the guitar/piano line in verse 2 of “White Knight” using this app. BG and Daniel have recently taken to creating mini songs on the thing, with BG even finally getting to work on our space opera. If you own an iPad, you should own this app. 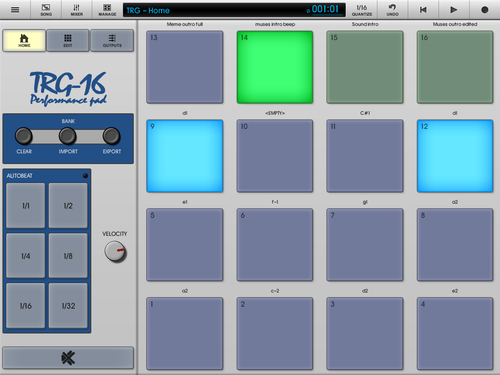 This is my second most used app for making music. 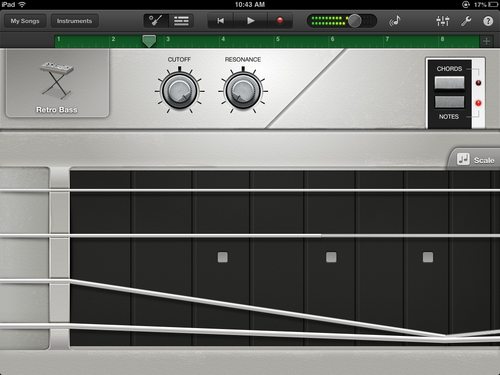 The app differs from Garage Band in the fact that it only has two “instruments” : keyboards and drum trigger pads. However, the keyboard sounds are much more customizable than Garage Band and you can load and edit your own samples into the trigger pads. Loading is painless once you download and install a small application for your PC/Mac. While I haven’t been able to demo anything on this app that was used in a PA recording, I am currently using the trigger pads to sample some things in a live setting. Wait for a sale because the regular $14 price is steep. In the Kleos era, we had a decent amount of songs that included a small sample, like a keyboard sound only my Alesis Micron could make, so I quit bringing an extra instrument around and we made click tracks that contained these samples. 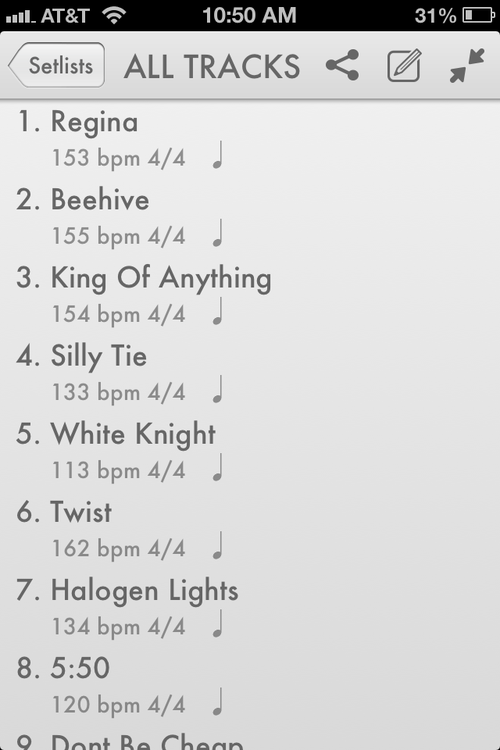 While we don’t use these tracks anymore, we do like to keep most of our songs on the proper BPM. Metronome: Tempo is an excellent app to use for click tracks because you can create set lists and it will save everything for you. Even if you’re not a drummer, get this app and use it to practice. Everyone should learn to be on time. I hope you’ve enjoyed my huge App Store advertisement disguised as a blog! If you’ve noticed how one-sided this blog was, that’s because I only own iOS devices. I’m going to seek out the best apps and devices our fellow local groups are using and bring that information back to you within the upcoming weeks. As always, I will be linking the Facebook discussion to this blog once it goes up, so feel free to respond there, or here.